In her lecturing she applies the knowledge gained from her studies to facilitate effective and stimulating learning and loves to share her knowledge of psychology and its application to multiple fields of study. 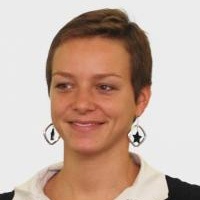 Until 2013 Anna led Student Services at Prague College with her multicultural and multilingual skills and knowledge, advising students on academic, cultural and personal issues. She has lived in three different countries - Czech Republic, Germany and USA - and her multicultural background enables her to bring a unique perspective to her roles and responsibilities within the college. She is continuing her education to achieve a MSc in Business Psychology at Heriot-Watt University.